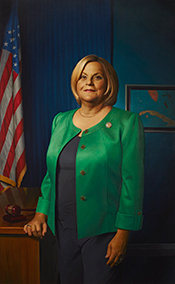 Ileana Ros-Lehtinen of Florida's 1989 election made her the first Hispanic-American woman in Congress. 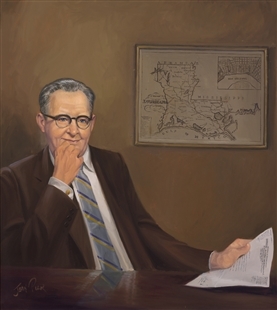 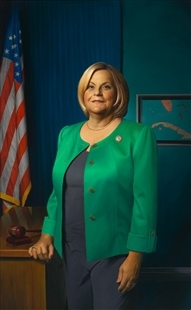 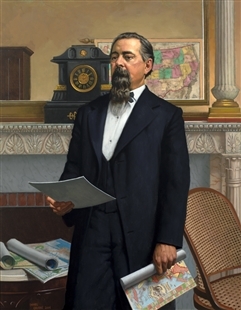 Of this portrait, made to mark her tenure chairing the Foreign Affairs Committee, Ros-Lehtinen mused that "I hope that people are able to see the map that’s behind me—behind my left shoulder—and I wanted to have a little bit of Cuba in the painting because to me, where I was born is not just a stamp on my passport. 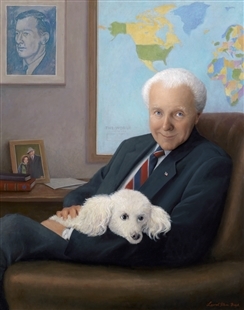 It really has helped to define who I am as a person."